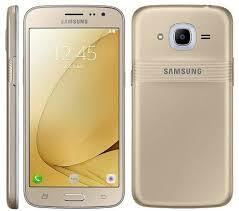 Samsung SM-J-200f or J2 official firmware Android version 5.1.1 lollipop direct download link on google drive.Download official flash file for Odin or any other Samsung mobile flashing tool like Z3X tool or NS Pro.This is official firmware form Samsung Odin flash file if your phone did not work properly or any other problem or you want to install Hindi language file on your phone then you can flash this file easily without the help of any other flash device just use Odin and Samsung USB driver flash your phone at home. How To flash SM-J200f With Odin? Download file form official Rapid Gator Mirror or given a link to google drive. so you have flash you Samsung SM-J200f with Android 5.1.1. Galaxy J2 SM-J200FIMEI Null Unknown Baseband Repair Don! If your Samsung SM-J200F Null IMEI after flashing or any other case and want to repair it then download full pack of Samsung SM-J200F IMEI Null Unknown Baseband Repair Modem+pit+efs+rooting files one pack which is collected by me after hard work and repair IMEI and unknown Baseband then I am going to share it with you.